Acquiring top talent for project-based businesses is a necessity. With the best teams in place, projects are run more efficiently, completed timely and ultimately profitable. While getting these key players on board is crucial, keeping them inspired and engaged is just as significant. If your firm incorporates career paths as part of its HR Talent Management strategy, then employee development becomes a priority and retention remains high. Career paths are plans that lay out the steps to get to the next place in an employee’s journey with your firm. Your top talent needs to feel that there is growth potential within your organization. Using Deltek Talent Management, employees can see jobs they want to aspire to and other lateral roles they may need to undertake first. With career path software, everyone is informed of where an employee currently stands, and where he wants to be down the road. This keeps all parties accountable for employee development. Developing career paths should begin at the talent acquisition phase. Is this candidate a fit now and potentially down the road? What are the motivations and incentives to be part of your firm? What are the cultural desires? HR can use Talent Management to review skills and competencies and determine what gaps need to be filled to move further down the career line. There should be a three to five-year duration of the career path. What would be the immediate placement of this candidate and what would provide growth? When establishing career paths, it is necessary to set guidelines to target competencies and identify skill gaps. There must be clear objectives and deadlines to reach these goals. Mentoring by firm leaders and developing new skills are essential to acquiring needed competencies. However, employees can also use professional associations in their industry to further develop their knowledge base. Development can happen year-round. While the firm should provide opportunities for development and mentors to help talent learn new skills, the employees need to drive the effort. Both lateral and job promotions are necessary parts of the career path. It is just as important to spend time in different jobs at one level as it is to move to the next. Continuous feedback sessions should be part of the career path process with roadblocks included. Finding out how the employee is contributing to the firm shows engagement. Career paths help make employee development a priority, and they can be updated as needed. Employees can even be included as part of succession planning in their career path. Remember that in creating career paths, authenticity is key, and communication is vital. Employees must know that you value them and how they can grow with the firm. In exchange, excitement for career potential will keep employee retention high. Business development is crucial to the future of any company. Therefore, efficiently tracking it should be a top priority. So why are so many firms still using outdated spreadsheets that require so much effort to review? 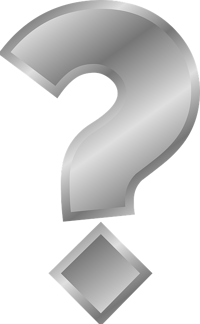 Well, once they get their hands on the Informer business intelligence (BI) tool, executives, business developers and marketers alike will be asking themselves that very question. Let’s see how the Informer BI solution will add value to your firm. The days of having to spend hours reviewing the specifics of opportunities and the sales pipeline on black and white pieces of paper are over. With Informer, colorful graphics draw attention to the information you seek. Essentially, you can set up your graphical dashboard using whatever dash parts you feel are the most important and drill down into the details as needed. These dashboards refresh automatically to keep your data up to date. With Informer BI, there are different visual options available. Based on the fields selected, Informer automatically creates different visuals and you can choose from a saved list. You can customize your chart visuals depending on what you would like to see and how you would like to see it. Chart types vary from trends to pie charts to bar graphs to scatter plots. There are even geographic heat maps that show where your core opportunities are and where your firm needs to do more business development. Business developers are concerned with the health of the sales pipeline. They, of course, want opportunities sold as fast as possible and a way to track the win rates. Another great feature of Informer BI is the option to set up alerts when opportunities are closed. When an alert comes in, you will be drawn back to your dashboard to see what has changed. Informer even allows you to set up comparison boards with side by side displays. You can track win rates from month to month, year to year or even by location. There is no need to waste any more time with those old fashioned and dated spreadsheets. Informer BI shows you exactly what you need to know about your business development as the opportunities unfold. Even more, Informer integrates with Deltek Vantagepoint and Vision. So, what are you waiting for? Deltek Talent Management is a powerful set of tools for firms to manage the complete employee lifecycle. It offers an extensive product line to handle acquisition, learning and development, performance and compensation. With such a robust HR system, there are many notable features - some of which are underused. Let’s check out these hidden features and see what benefits they provide. Employees really enjoy being recognized for their accomplishments and want to feel as if they are contributing to the business. Deltek Talent Performance allows employees to submit recognition for other employees in their firm. Recognitions include specifics about each situation such as competencies that the employee has showed. Both the manager and employee can access these recognitions as part of the performance review. Such recognitions go a long way to create a positive culture within the organization. 360 reviews expand the performance evaluation from just managers to others, both inside and outside of the organization, who have information about employees. Employees can recommend people that they would like to participate in the review, and managers can stay on top of the process. All completed 360s can be viewed by the employee and manager then stored in the employee’s appraisals section for future reference. Feedback from a variety of sources gives employees the chance to see how impactful their work has been. Deltek’s strong focus on projects means that project team members get project-based appraisals. Within Deltek Talent Development, project teams can be set up and team leads determined. Team leads launch the project-based appraisals which may include goals, achievements and competencies that can be later reviewed. Employees get relevant and timely feedback from project managers which can be applied to the next project. Doing project-based appraisals improves performance and drives employee engagement. Today, job seekers have many options, and leveraging technology is a necessity to acquire top talent. Deltek Talent Acquisition makes it easy to view job seeker professional certifications and licenses which can be uploaded during the application process. Candidates can be sorted through efficiently and those with the qualifications needed can be recruited faster. Additionally, with Deltek Talent Learning, those hired will have their certifications automatically added to their learning record which will streamline the onboarding process. These hidden features of Deltek Talent Management provide the means to engage quality employees and ensure top project performance. Recognition for valuable work, positive feedback from many different sources, specific project appraisals and assurance of certifications all promote a productive work environment leading to well-run projects. Are you ready to experience what Deltek Talent Management has to offer? With the shift to an employee-centric marketplace, it has never been more important to focus on talent acquisition and retention. With Deltek Talent Management, you can manage the entire employee lifecycle in one built-in platform. You can efficiently handle acquisition, performance, learning development and compensation. By managing talent, you can retain the best workers, drive employee engagement and ultimately deliver more successful projects. Let’s see how Deltek Talent Management will help your firm be a winning player in the war for talent. Deltek Talent allows you to build high performance teams while reducing the time to hire and to reach productivity. There is total visibility into talent acquisition with trends to see what positions are open and how quickly they are hired and onboarded. Using this talent management solution, you can also make sure you offer the most competitive compensation packages to candidates guaranteeing that top talent will join your firm. With thoughtful performance management that matches the way project teams work, Deltek Talent offers an effective way to keep the top talent you worked so hard to acquire. Included in the solution is a comprehensive incentive system aligned with performance. This ensures employee compensation transparency and consistency. Deltek Talent additionally comes with the option to build and store unlimited staff learning and training opportunities to keep employees engaged. Deltek Talent Management helps your firm strategically analyze the workforce and predict future needs. This solution allows managers and employees to work together to develop career paths and long-term development plans. Using Deltek Talent, your firm can even create succession plans which work for each unique business. Deltek Talent Management provides firms with a unified HR system. This solution is both mobile and flexible and will meet the needs of any firm no matter the size. Acquiring and retaining top talent ensures superior projects are delivered. Are you ready to prevail in this competition for the best employees? Get Deltek Talent Management today. Professional services firms focus on specific industries and provide a plethora of knowledge to their clients in the projects they undertake. For existing clients, professional services firms must continue to stay abreast of the most recent events or rules impacting that industry. They must also continue to build their client base with business development. There are numerous organizations available to professional services firms and many benefits to join them. Let’s take a look at some. The Society for Marketing Professional Services (SMPS) provides a creative and inspiring community to exchange ideas. Members can connect with A/E/C professionals from other firms and disciplines across the country. The information gleaned from networking with like-minded professionals can be applied to your firm’s business. Also, sharing your firm’s best practices can establish your company as a thought leader in the A/E/C industry. Additionally, the new connections in the A/E/C community that you make from SMPS can lead to future business opportunities for your firm. The mission of PSMJ is to improve the business performance of A/E/C organizations worldwide. Membership in this organization provides several advantages. First off, member firms are offered advisory services from expert consultants who serve as coaches pushing firms to achieve greater success. Next, these experts annually conduct hundreds of bootcamps, workshops, roundtables, and networking conferences which provide industry education and a chance for business development. There are also numerous publications available such as articles and books which give solutions to A/E/C challenges. Finally, surveys are performed presenting accurate and relevant industry metrics that firm leaders rely on in making decisions. The American Council of Engineering Companies (ACEC) is another organization providing great value to professional services firms. ACEC’s mission is to strengthen the business environment for member firms through government advocacy, political action and business education. This organization addresses key issues impacting A/E/C firms and provides online classes and seminars. Additionally, there are networking conferences for firm leaders to develop relationships. ACEC communications cover important legislative matters, and a magazine with thought provoking articles on advocacy and other business interests is published bimonthly. 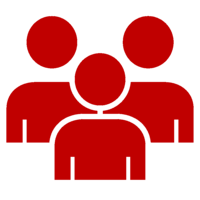 There are many Deltek User groups offered across the United States. The Large Firm User Group (LFUG), the Power User Group (PUG) and regional groups by state are ideal networking environments for all Deltek users. These venues provide great opportunities for users to network, trade Deltek experiences and examine best business practices. In these forums, users can grow both professionally and personally gaining information on industry trends, new product features and business processes. Professional services firms have much to gain by signing up with a variety of organizations. From firm leaders, to marketers to regulatory specialists, everyone can benefit from being members of these groups. Take some time and think about which organizations are the best match for your firm needs. Once you know, joining is just a click away! Full Sail Partners is pleased to announce that it has achieved SAP Concur Implementation Partnership (CIP) status after an extensive training process. The certification means our consultants will configure SAP Concur solutions for Deltek Vision clients. While Full Sail Partners has already been guiding Deltek Vision clients on how to connect their SAP Concur system with Deltek Vision, this endeavor expands our capabilities further to allow a more cohesive implementation process. Full Sail Partners chose two consultants, Nicole Temple and Theresa DePew, to go through the rigorous nine day training program. With many years of Deltek Vision ERP experience, these consultants are well equipped to take on the SAP Concur certification program. As a part of the CIP certification, Full Sail Partners can now configure the SAP Concur expense module that was previously provided by the internal SAP Concur team. Full Sail Partners services now include: policy evaluation, design, set-up, integration, review, validation, deployment training, overall project management, and handoff to support. “Our Blackbox Connector enables Deltek Vision clients to leverage the power of SAP Concur expense and invoice capabilities and combine that with Deltek’s robust ERP system. However, during that process our staff identified we can also streamline the Concur implementation process and ensure a more successful implementation because of our staff’s knowledge of project-based firms,” commented Scott Seal, VP of Consulting. Full Sail Partners is always seeking out ways to improve our client experiences which is why we were excited to obtain CIP status. Our firm’s familiarity with both SAP Concur and Deltek Vision will benefit our clients tremendously. With ample knowledge of both systems and how they integrate, our consultants can save clients time and vastly reduce implementation efforts. SAP Concur is the world’s leading provider of integrated travel and expense management services and solutions. On the web, on a smartphone or on a tablet, SAP Concur’s cloud-based solutions deliver an effortless experience for employees and total transparency into spending, helping organizations of all sizes, industries and locations run better. We can help yours run better, too. Many Deltek Vision customers have been a bit confused by the announcement of Deltek Vantagepoint (formerly Deltek for Professional Services). Well, Deltek Vantagepoint is the newly branded and freshly reimagined next version of Deltek Vision specifically built for professional services organizations. The starting point for Vantagepoint was Vision 7.6 and this initiative has been about accelerating the product to a pure browser-based interface which began with iAccess. Let’s take a look at Vantagepoint and the impact on Vision users. Vantagepoint is the same great product with all the power of Vision using a fresh, modern interface that will be accessible to anyone, anytime from anywhere. This next version of Vision has impressive new features, reengineered workflows and expanded functionality. All of these enhancements were created based upon years of customer feedback taking Vision to a completely new level. As part of the upgrade to Vantagepoint, user defined content and configurations within Vision come along. Some areas will need to be reviewed to make sure things continue to work and look the way you want due to the functional improvements of Vantagepoint. However, the configured content will not be lost in the upgrade which is very similar to a typical Vision upgrade. 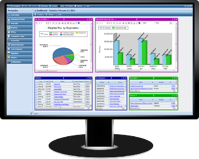 In Vantagepoint, the reporting platform is SQL Server Reporting Services just like in Vision. The architecture and database structure of Vantagepoint is the same as Vision since Vision 7.6 was the starting point. Custom reports and/or invoice templates should continue to function in Vantagepoint. If a custom report references a portion of the database schema that changed in Vantagepoint, it will need to be reviewed with minor updates just like it would have with Vision upgrades. During the transitional phase between Vision and Vantagepoint, the timing of the upgrade is up to the customer. Upgrade timing depends on what functionality your firm is using in Vision today. Vision 7.6 will remain in active support mode including updates until at least the end of 2022. Moving to Vantagepoint does not require a data conversion but rather all Vision data is simply upgraded. Just like with any Vision upgrade, there may be the need to accommodate functional changes. More than 200 customers are currently using Vantagepoint today. For all Vision customers, there is an existing customer portal to learn about Vantagepoint https://dsm.deltek.com/Vantagepoint. All firms using Vision are encouraged to consume the portal content in order to ensure a smooth upgrade. Full Sail Partners, a Deltek Platinum Partner, is pleased to announce that it has been selected as a recipient of the 2018 Premier Award for Client Satisfaction by PSMJ Resources and Client Savvy, creator of the Client Feedback Tool. This recognition only goes to firms involved in the AEC industry who have gone above and beyond to deliver a truly exceptional client experience. The success of professional service firms depends on creating strong client relationships, specifically through the service delivery of a project. Full Sail Partners recognized this need not only for its own firm, but for others in the industry. In order to gain consistent feedback on their projects, Full Sail Partners identified a need to streamline and automate the process for Project Managers. This endeavor resulted in creating their first Blackbox Connector to share data between Deltek Vision and the Client Feedback Tool. For more than 40 years, PSMJ Resources, Inc. has been recognized as the leading publishing, executive education, and advisory group devoted completely to improving the business performance of A/E/C organizations worldwide. Recipients of the Premier Award for Client Satisfaction are determined using data collected from 280,000 surveys across 300 firms. Based upon the surveys, firms which really stand out regarding client feedback are given this prestigious designation. The 2018 award winners will be recognized at the October THRIVE conference put on by PSMJ in San Diego. 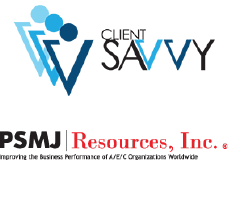 Client Savvy works with professional services organizations whose success depends on strong client relationships. Their commitment to clients is to help them align their client experience (CX) strategy, implementation, and measurement initiatives with their top strategic priorities. The goal of an Enterprise Resource Planning (ERP) system is to integrate all aspects of a business from finance to CRM to HR. To have and maintain a successful business operation, accurate and timely information must flow between all the different business functions. With an ERP in place, there is visibility into operations which provides greater control over the business. However, while all businesses benefit from an ERP system, one size does not fit all. Project-based companies are distinct and thus require ERPs suited for their needs. Unlike firms just selling products to be shipped, project-based firms have financials reflecting more specific details. Project-based financials are focused on resources, projects and clients. Project-based firms are concerned with billing and time and materials needed per project which is vastly different than a firm that simply tracks inventory. Since project-based financials are so particular, project-based firms should have ERP systems that are equally so. Resource management for project-based firms is also a lot more involved. Project-based firms must manage both clients and projects matching the scope of a project to delivery. More than just people, resources here mean skills needed in a project and determining when certain skills are to be used. CRM with projects is built around proposals and recurring client interaction. With the intricate nature of running projects, project-based firms require ERP systems set up to manage resources in this more complex way. Executives, accountants and project managers all have different focal points. Executives want to see that the business is financially sound and that customers are satisfied. Accounting needs to be able to make sure billing is being completed on time. Project managers must collaborate with everyone to make sure the work is getting done and that people are being utilized by tracking workers as they come off a job. Project-based ERPs are specifically built for all these key roles ensuring efficiency in operation. With project-based ERP systems, every transaction is tied to an account, organization and project. The general ledger account describes expenses, the organization describes who is doing the work and the project is the source of revenue. With these elements linked, financial reports, invoices, payroll and project status reports are all available to show the whole picture of the business providing complete visibility. With a project-based ERP in place, project-based firms will be able to make proactive decisions with current, real-time data. Generic ERP solutions do not meet the needs of project-based companies. Project-based ERPs are specifically designed to ensure that all aspects of project management are tied together to provide an accurate view of project profitability and company health. It used to be that people needed companies - employees were loyal, jobs were scarce, and everyone accepted the standard employment package offered. Today, things are very different. Companies need people – talent is hard to find, few make long term commitments, and many are demanding a lot more than before. Project-based companies are particularly impacted since without the right people in place, projects suffer, customers suffer and so does the bottom line. Therefore, having an applicant tracking system is a necessity to deal with the challenges of talent acquisition. These days, companies are the ones trying to convince talent to join the firm while the competition is courting them as well. It is crucial that the time it takes from sourcing candidates to interviewing to offering positions is greatly shortened. An applicant tracking system provides a clearer picture of the entire process. It shows right away if any of the steps are taking longer than necessary and allows firms to be more efficient in the hiring process. Project-based companies need the right people available at the right time to keep projects running smoothly. With people moving around as much as they do today, firms should always have a reserve of potential talent. An applicant tracking system helps with creating and maintaining these pools of talent. 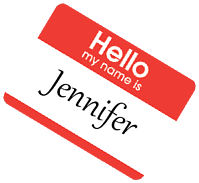 When resumes are entered, HR can flag those candidates who would be good fits for future opportunities. So, if a project manager leaves unexpectedly or a new project is won, a talent pool is immediately available to contact which reduces the delay in staffing. Nothing is worse for project-based firms than having to put off a project start date because of lack of appropriate personnel. Another benefit of an applicant tracking system is that it ensures a positive candidate experience. The candidate’s experience moving through the hiring process has a huge impact on whether an offer will be taken. Firms must make candidates feel that they are valued. An applicant tracking system makes it easier to stay connected with candidates, so they feel informed and not forgotten. Project-based firms will not only have excited quality talent coming on board from this positive experience, but word of mouth will spread creating a talent pool for future projects. Project-based firms make money when projects are done on time and to customer satisfaction. Without the right personnel on the project, firms are destined for failure. An applicant tracking system expedites the hiring process by reducing inefficiencies and encouraging quality talent. Firms can easily overcome the challenges of talent acquisition by investing in one today. What is your firm waiting for?